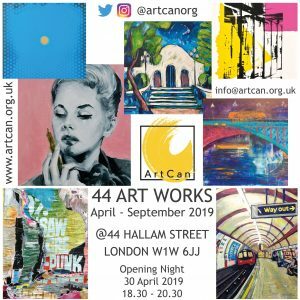 ArtCan is pleased to announce the inaugural ArtCan Open exhibition launching in November 2019. 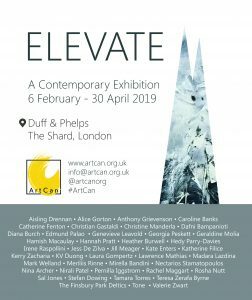 Following the success of the annual ‘What Is The Point?’ exhibitions ArtCan are developing the format to enable wider engagement across all art mediums. 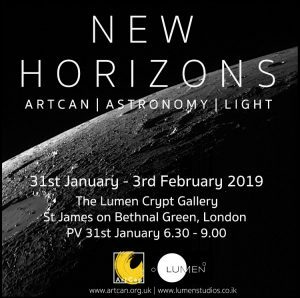 Exhibition opportunity for ArtCan artist members and artists working or living within South East Essex. 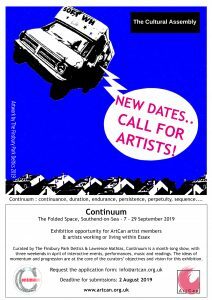 The exhibition and accompanying events will include ArtCan artists as well as artists from Southend & South East Essex. The ideas of momentum and progression are at the core of the curators’ objectives and vision for this exhibition. They seek works that will respond to the title as well as the artists placement within society today. 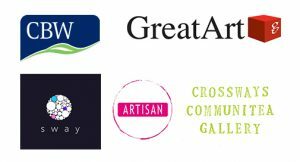 The aim is to make the exhibition broad ranging, with something for everyone, and culturally engaging. In response to the generous CSR program of Duff & Phelps, ArtCan has filled their office walls, conference rooms and social areas with vibrant and exciting contemporary art.Elevate is a carefully curated show of ArtCan member artists work; demonstrating the scope and variation of styles and approaches of the artists. The works have been selected with these premises in mind, and with a view to providing refreshing and stimulating conversation pieces whilst enhancing the working environment.